This takes bacon-infused liquors to the next level by substituting out the crispy strips of pork belly for SPAM®️. Two different types of rum get the flavor added in to make the Duck Inn’s special SPAM®️ Mai Tai. 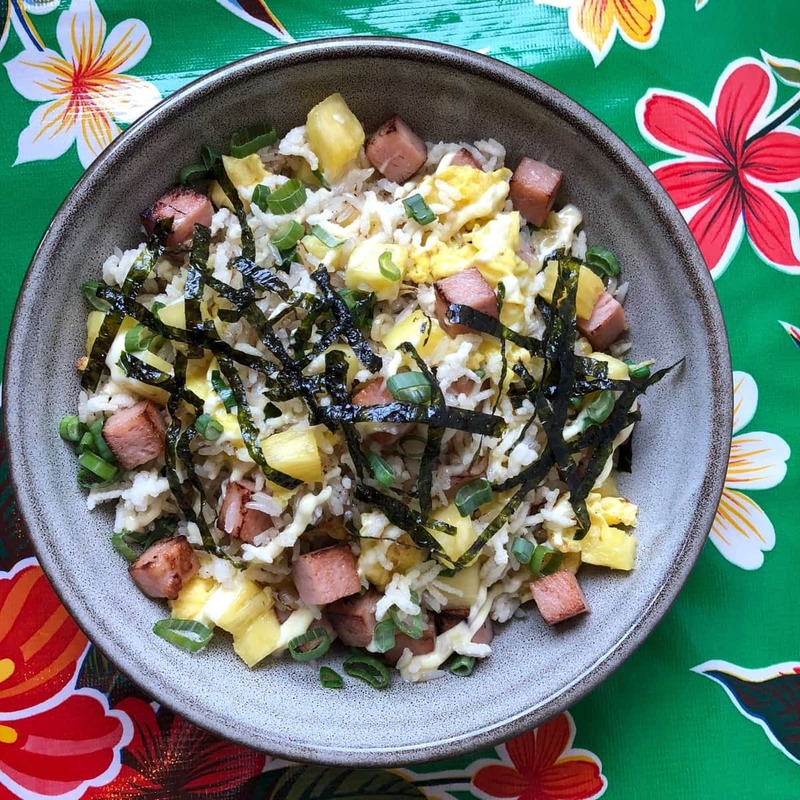 A James Beard-level take on SPAM®️, award-winning chef Abraham Conlon is refining a standard SPAM®️ fried rice with Kewpie mayo, nori, pineapple, and puffed rice. There’s a plethora of flavors and textures going on in this dish. These “tacos” forgo the traditional tortilla for a toasted Malaysian flatbread. Warm and crispy, it makes for a tasty base that keeps all of the taco’s ingredients together. Components on the inside include SPAM®️, Chinese sausage, rice, roasted nori, wasabi sesame seeds, Kewpie mayo, and a soy glaze. Onigiri meets musubi in this eye-catching take on the classic Japanese rice ball. 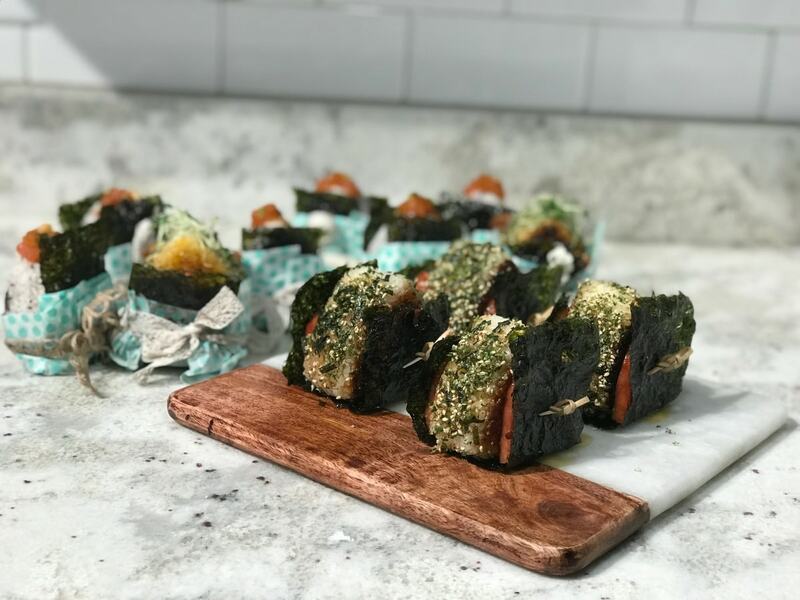 The rice on the inside comes with sautéed country style kimchi, furikake, and green tea salted nori, and is sandwiched by two pieces of caramelized Hawaiian SPAM®️. 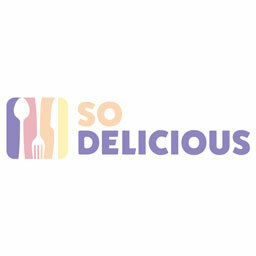 This HashTAG Restaurant special named after the iconic TV show is their take on a SPAM®️ omelet. 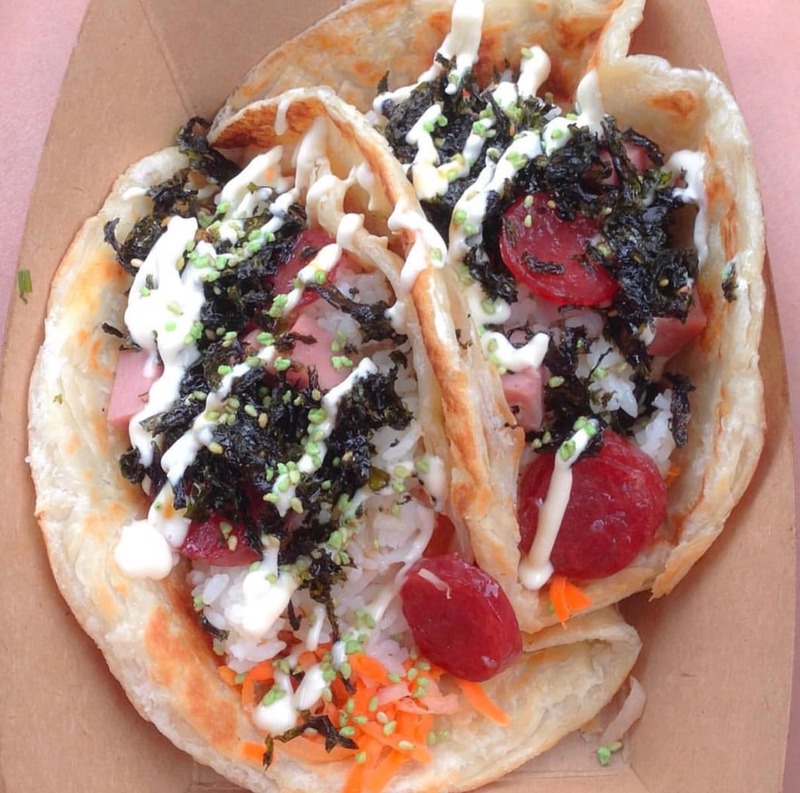 In addition to the meat, the “Hawaii Five-O” is filled with Swiss cheese, kimchi, mushrooms, and scallions. 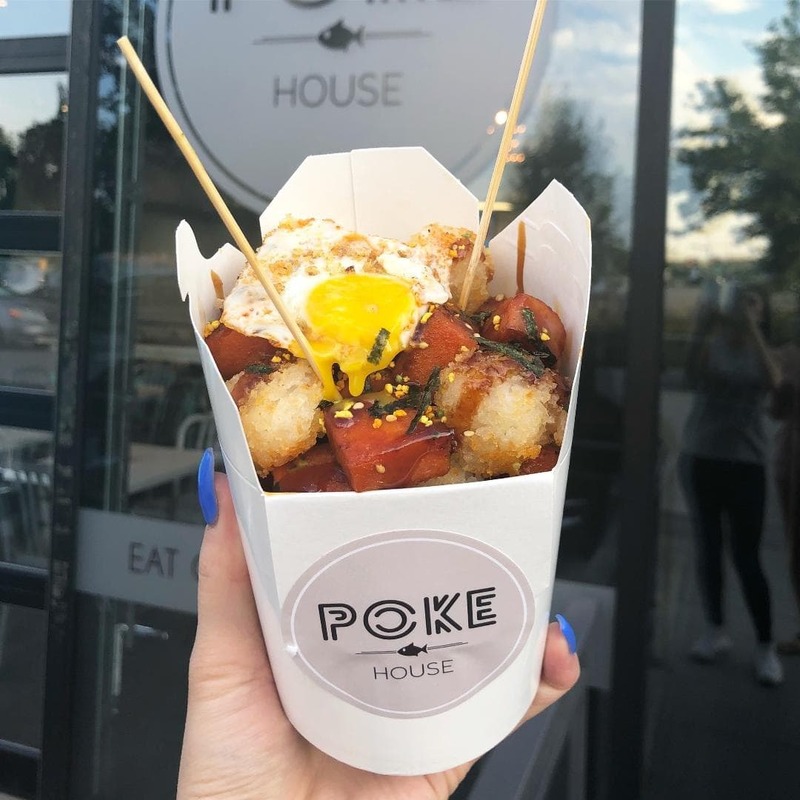 Denver’s Poke House actually has two items featured for SPAM®️ Restaurant month, one of which takes crispy pieces of the meat and serves it alongside tots made from RICE. It comes with skewers to stab a couple of pieces and make sure they get coated with all the condiments, like a runny egg, furikake, unagi sauce, and an avocado cilantro crema. 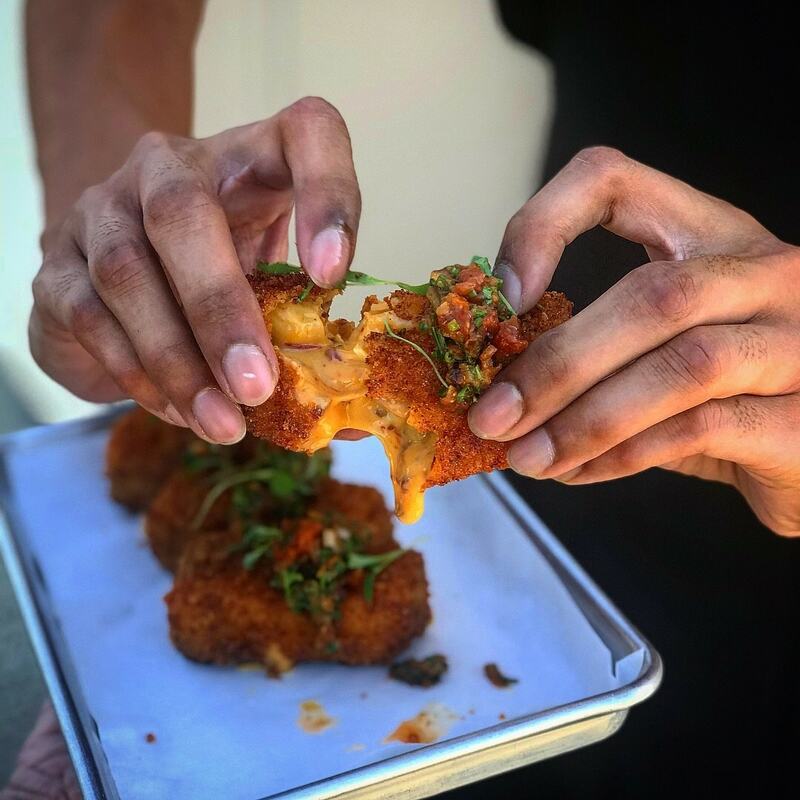 Poke House’s second item is an “open-faced musubi” that fuses spicy cheese puffs into the mix. 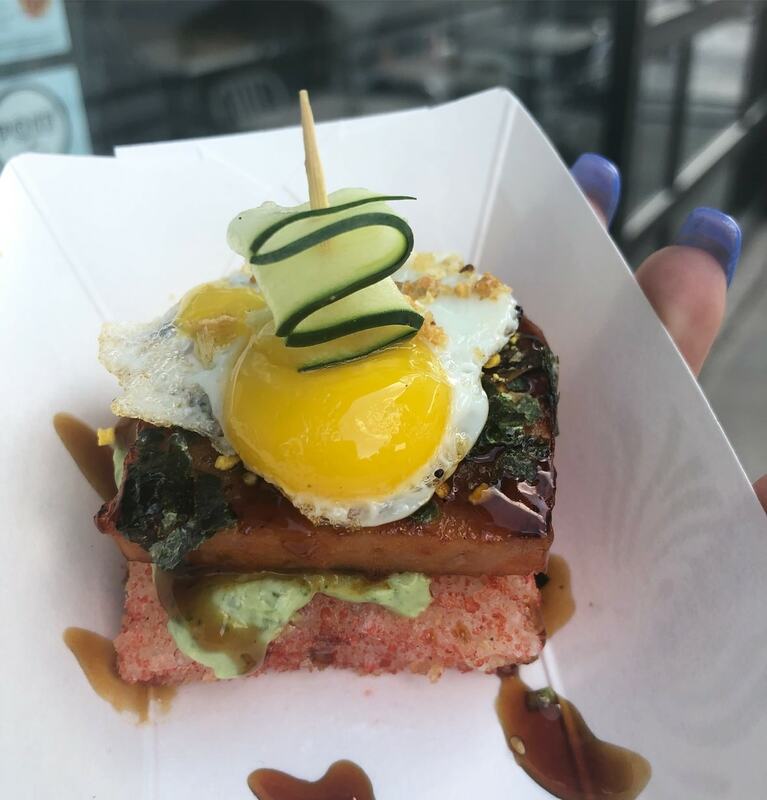 Crispy rice coated in the fiery chips acts as base to the SPAM®️, furikake, unagi sauce, avocado cilantro crema, and a runny quail egg. You’re gonna get double the meat on this monstrosity of a sandwich. 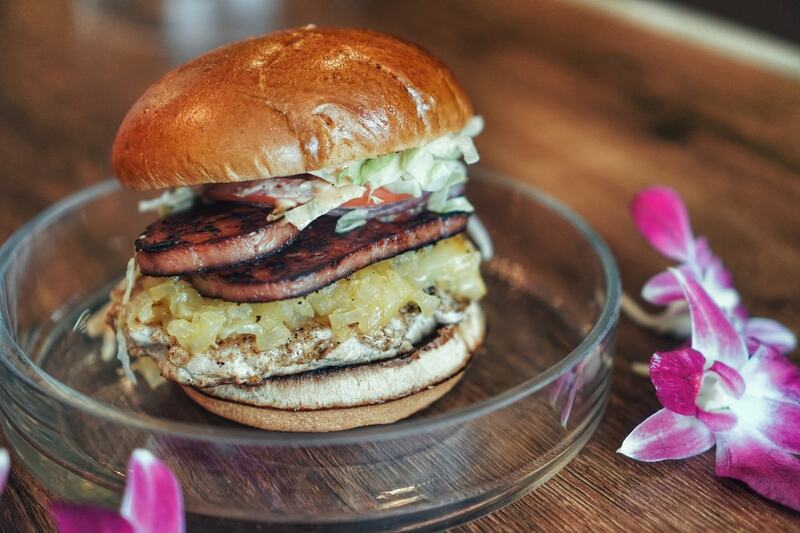 Crispy SPAM®️ and a smoked pork burger serve as the protein, backed up by the flavors of pineapple relish, lettuce, tomato, onion, and mahalo sauce. A heap of chipotle mac n cheese gets crusted in SPAM®️ and deep fried to a perfect golden brown. These balls of cheesy goodness are served alongside an oven dried tomato relish. A variety of unique flavors are paired with a more traditional combo of pineapple and teriyaki SPAM®️. This sandwich also comes with provolone, grilled jalapenos, a parmigiana basil aioli, and a fried egg. It sounds like the name of a Monty Python musical, but this hot dog’s moniker was actually inspired by The Sandlot. 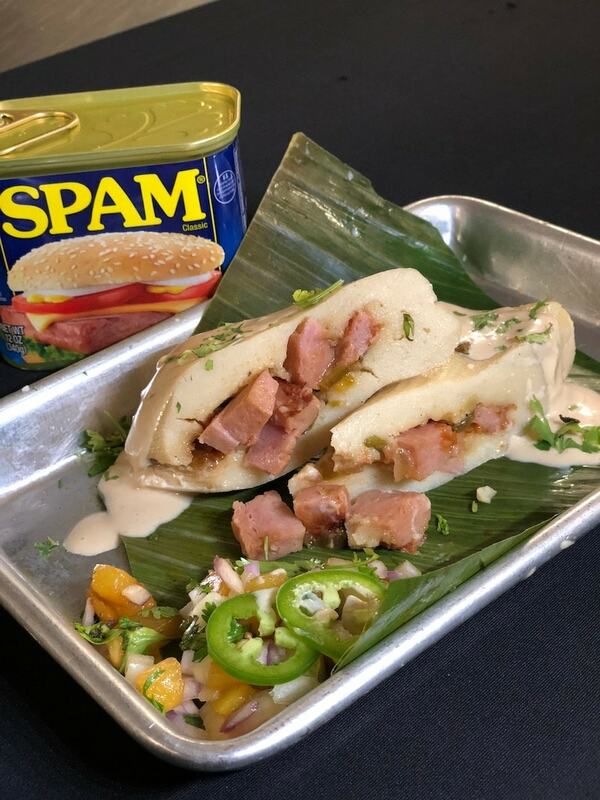 The “Spamlot” contains a sausage made from both SPAM®️ and shrimp, and is garnished with banana ketchup, sweet Maui onion kimchi relish, Kewpie, and nori. 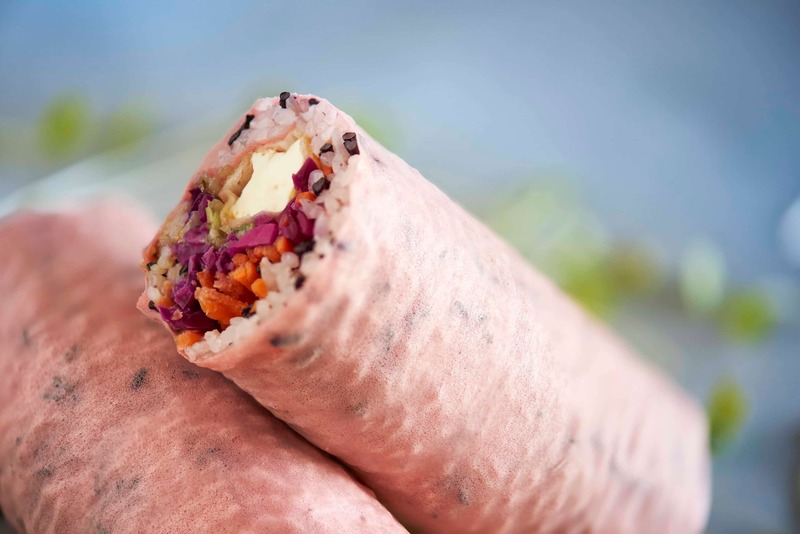 A “Sotarito” is Sotarol’s take on the sushi burrito, which takes a bunch of ingredients and wraps them in rice and soy paper. This version contains deep fried SPAM®️, purple cabbage, carrots, jalapeno, tempura flakes, and spicy mayo. A cheesy Filipino fusion flavor bomb, Flip Sigi pairs together SPAM®️ and longanisa sausage as the meats for their Grilled Cheese Burrito. 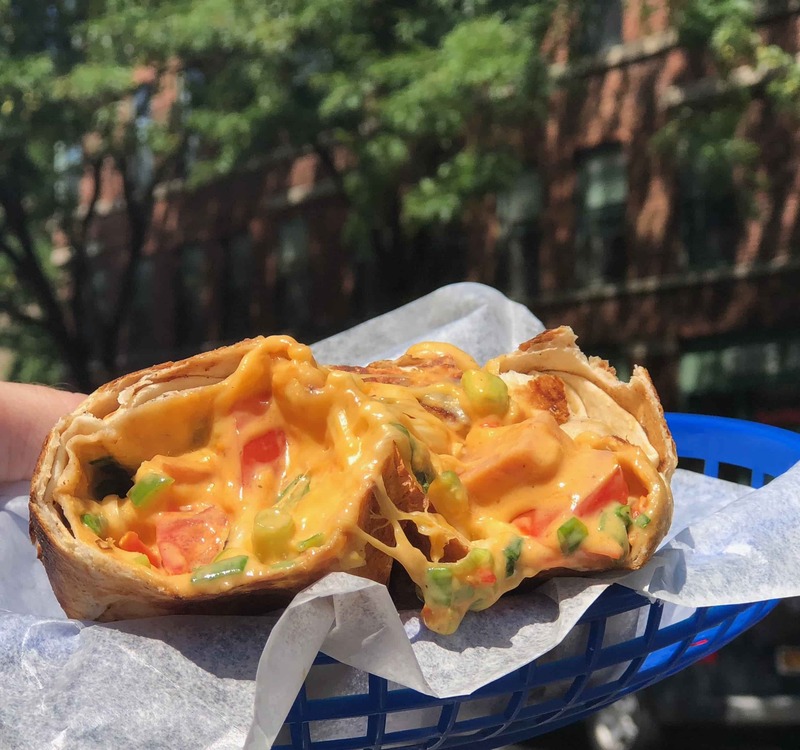 Four cheeses, including mozz, Jack, cheddar, and queso, are melted inside with tomato, scallions, jalapenos, and cilantro. 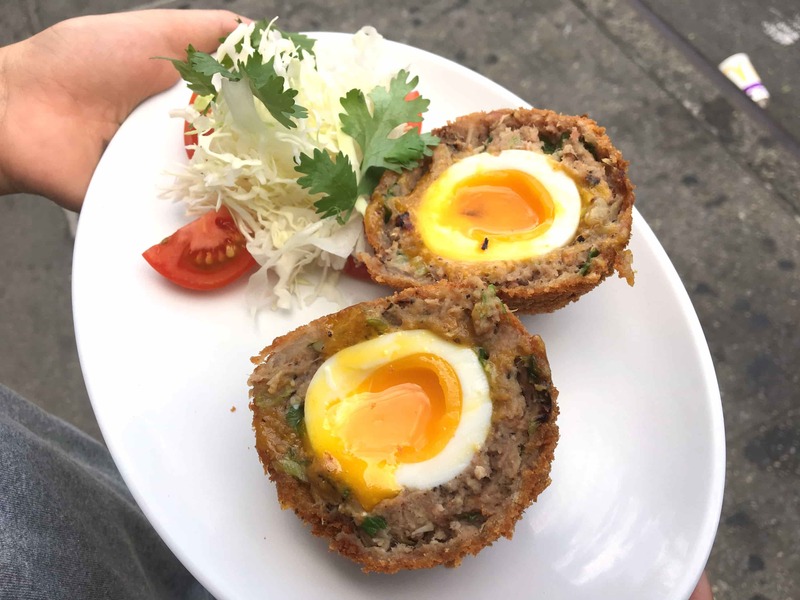 A twist on a British afternoon classic, this dish takes a soft-boiled egg, wraps it in ground SPAM®️, and deep-fries it to a perfect golden brown. The key is cooking the egg so that the yolk is still runny inside. Ten Asian Bistro is elevating traditional yakisoba in a couple of ways. 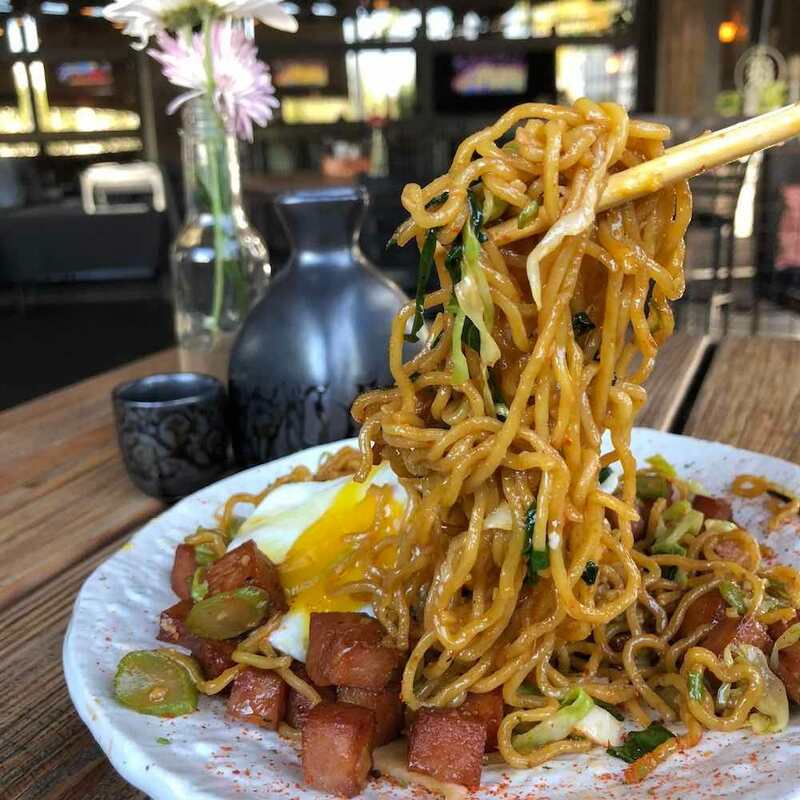 The ramen noodles, yakisoba sauce, Chinese broccoli, and green cabbage get stir-fried with crispy pieces of SPAM®️ and served with a duck fat fried egg for an extra layer of richness. 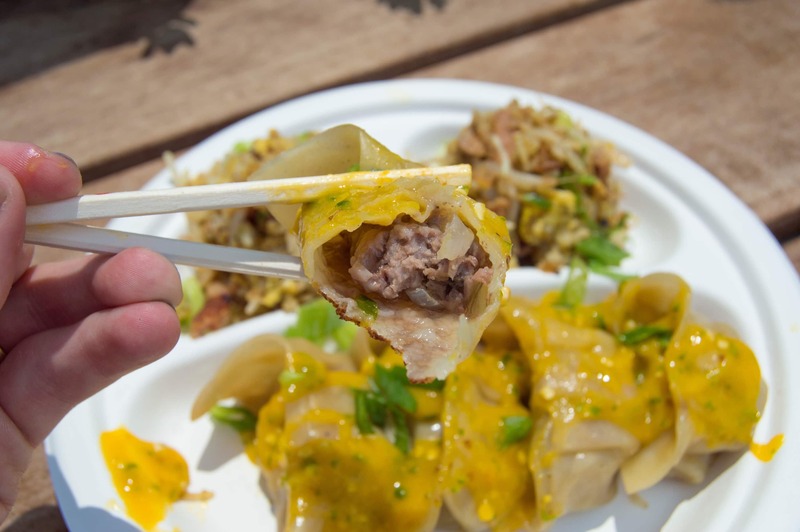 You’re getting a 2-for-1 with Mad Dumpling’s special item, as they’re putting SPAM®️ both into the Loco Moco-inspired dumplings and the fried rice they’re served with. It’s all tied together with a spicy pineapple reduction. Pineapple-on-pizza naysayers, don’t hate on this pizza before you try it. 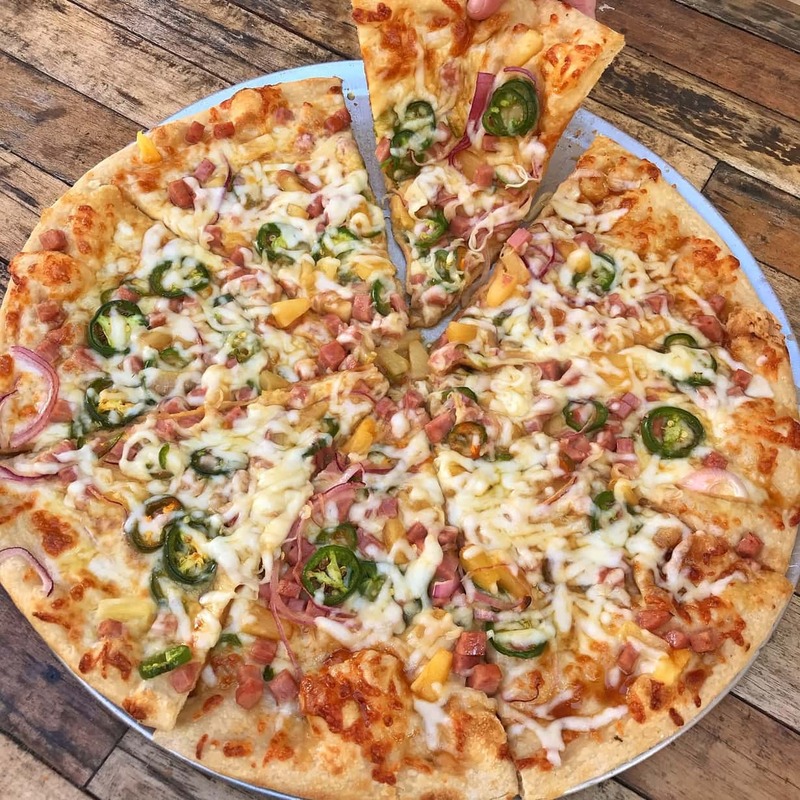 The balance of crispy SPAM®️, cheese, jalapenos, red onion, and teriyaki glaze may convince you that the two can go together. 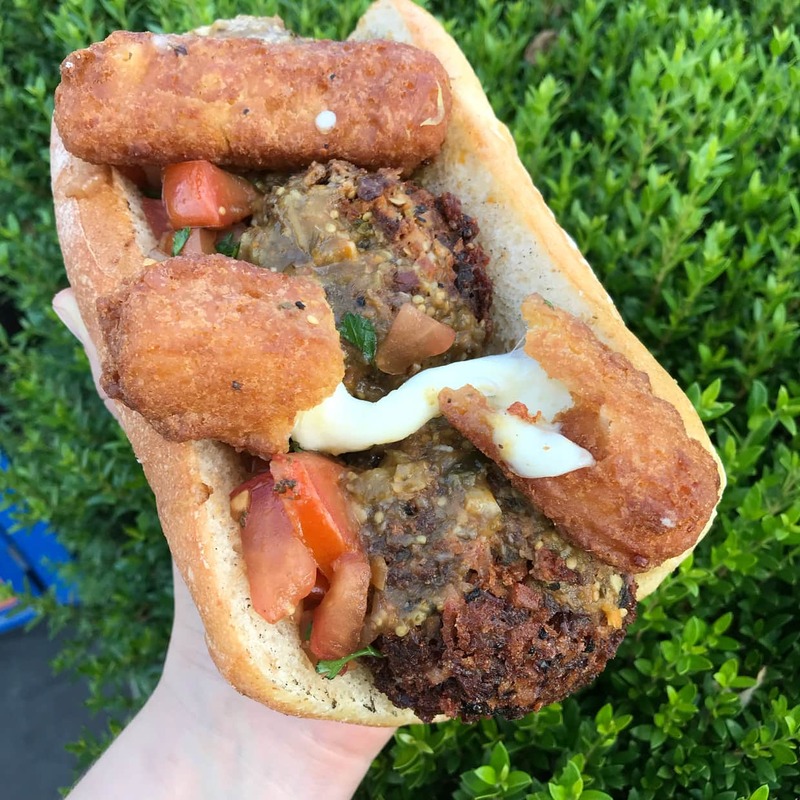 A creative twist on the standard meatball sub, this sandwich comes with meatballs made from smoked brisket and SPAM®️, mozzarella sticks, tomatoes marinated with cilantro, and a tomatillo marinara sauce. 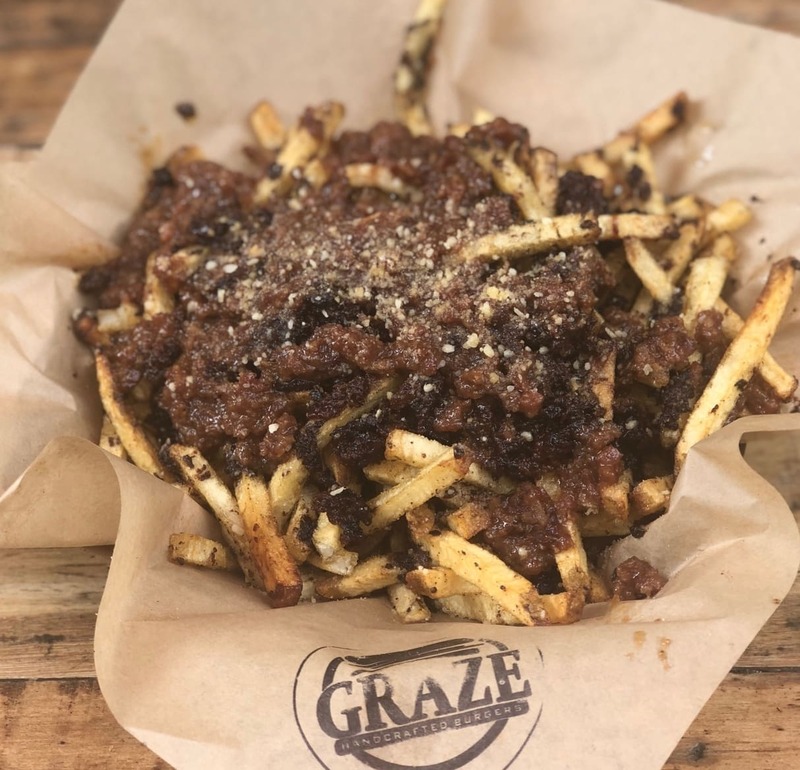 Graze is a spot known for their black garlic fries already. They’re getting a level-up with a homemade SPAM®️ jam. Similar to a bacon jam, the meat is cooked with bacon, red wine, and honey to create a sweet, sticky, and savory sauce that coats the fries. Parmesan cheese garnishes the entire creation. 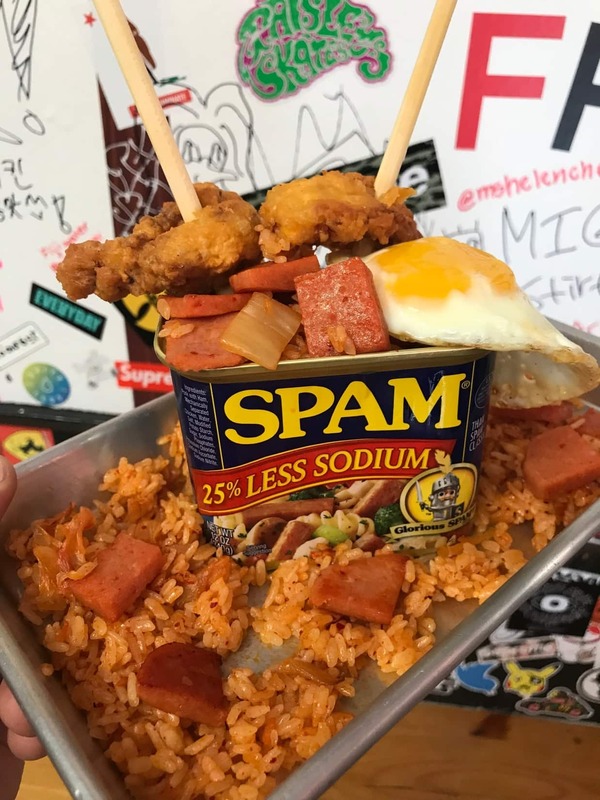 Dos Chinos is treating SPAM®️ like a traditional Mexican pork. They marinate it in Al Pastor sauce and grill it up before serving it on fries with onions, cilantro, sour cream, and pineapple. Sizzling pork sisig is one of the most mouthwatering Filipino dishes out there. 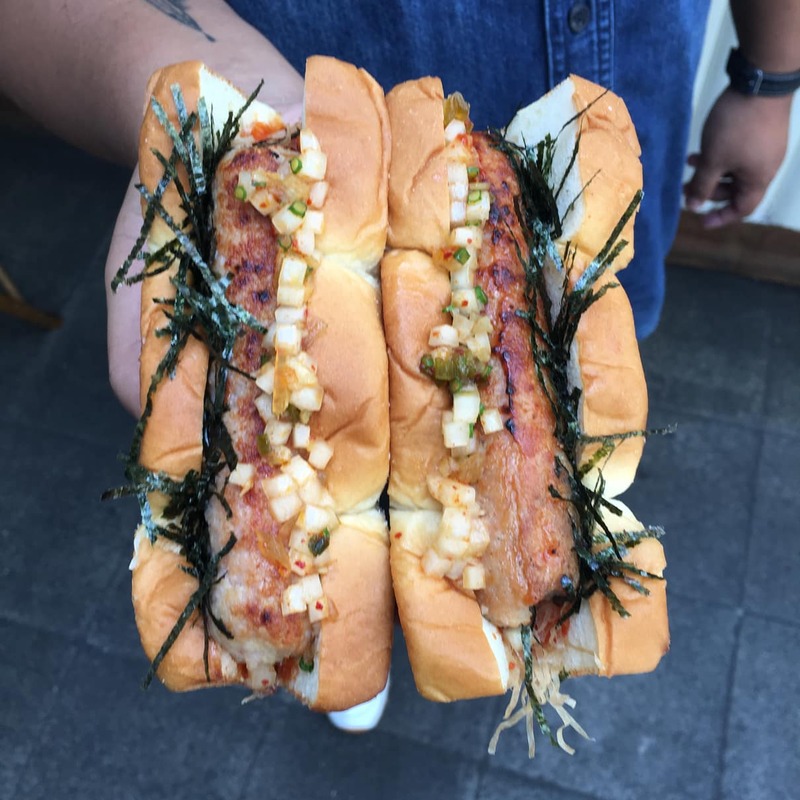 MFK by Aysee’s version incorporates SPAM®️ and pork and sautés it with Thai chili, red onion, and lemon aioli. It’s topped with scallions, garlic frito, furikake, and a fresh cracked egg and served with a side of steamed rice. Croquettes consist of mashed potato stuffed with different accoutrements, deep-fried, and served with a sauce. 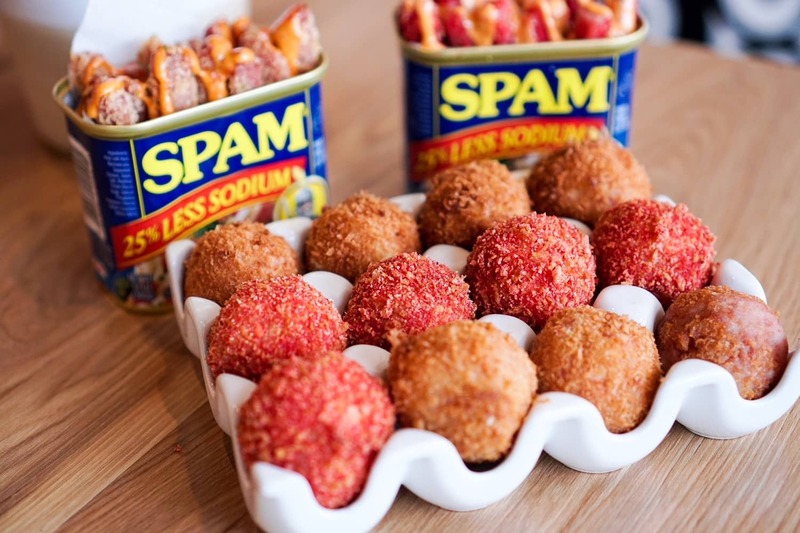 Cubed Poke’s version is all that, and the inside is stuffed with SPAM®️. 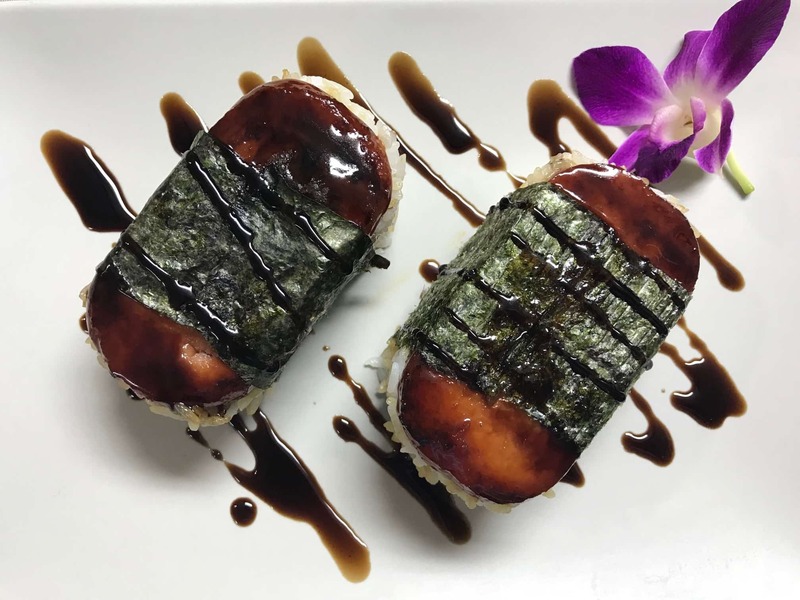 The Royal Hawaiian’s SPAM®️ Sushi looks like a standard nigiri or musubi, but comes with a little surprise. That sauce on top is actually a balsamic reduction, which is exciting because the combination of soy sauce and balsamic is known to be fire. 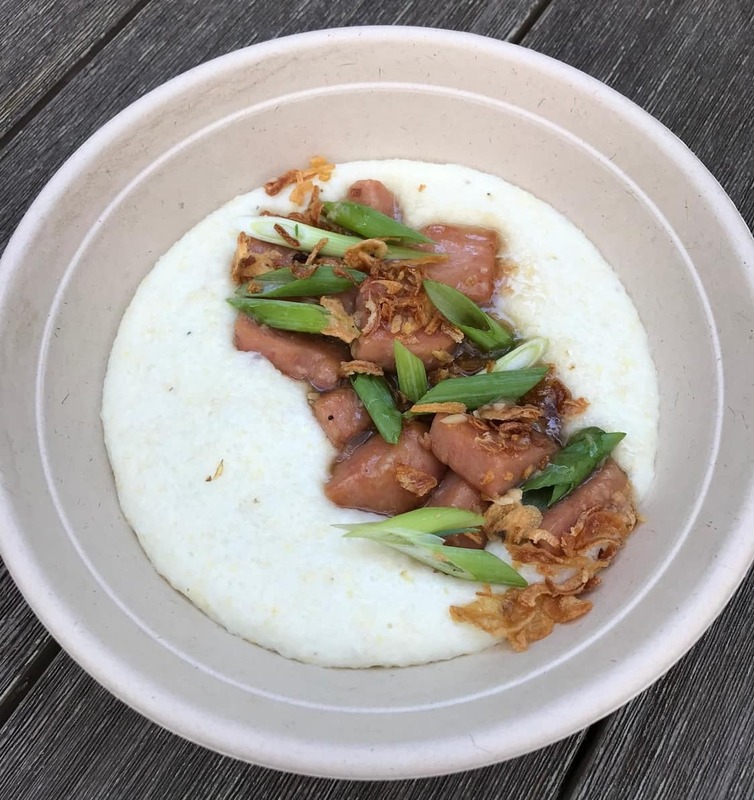 A Southern twist on a classic Vietnamese fish sauce recipe, a bed of grits and salad greens sets the foundation for slices of caramelized SPAM®️. Photo courtesy of Tamale co. These grilled SPAM®️-stuffed tamales are cooked in banana leaves and smothered in a house piloncillo glaze. They come with a signature pina pastor aioli cream and a tropical pico de gallo as a garnish. 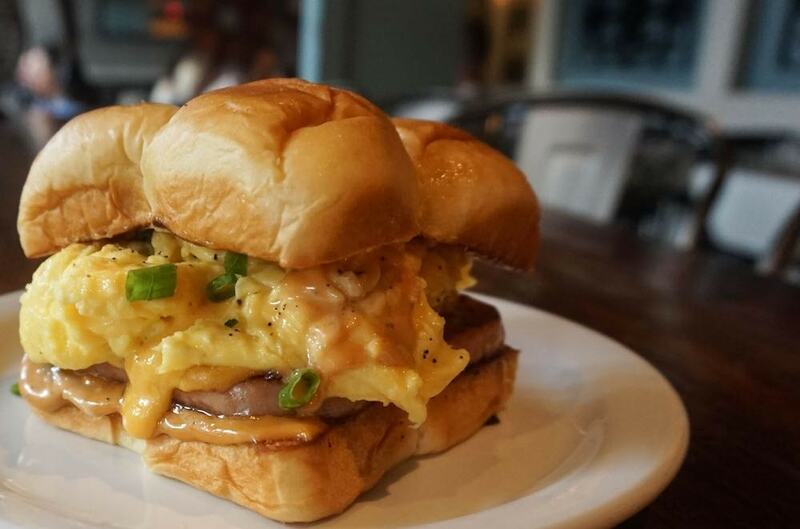 This is a “ham egg and cheese” with a whole lot more going on than just that. Fried SPAM®️ is served with perfectly cooked eggs, a hoisin mayo, and scallions, all inside of a sweet King’s Hawaiian roll. 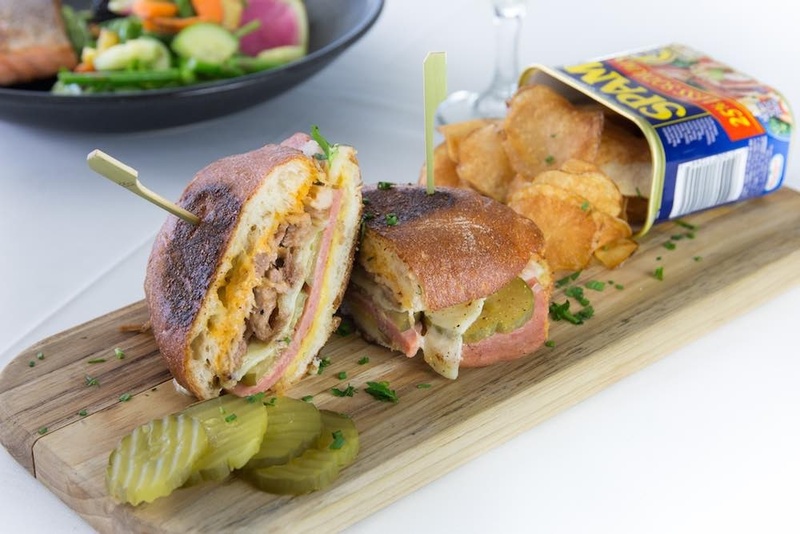 This Cubano was created by the Wrigley Mansion team in honor of Geordie Hormel, who owned the Phoenix landmark prior to his passing. Geordie’s wife, Jamie, currently owns the mansion, and helped develop this sandwich. It’s based on a traditional Cubano, with housemade pulled pork, mustard, pickles, white cheddar cheese, and SPAM®️ in place of the regular ham. The sandwich is made using bollilo bread and served with a SPAM®️ tin of homemade potato chips. 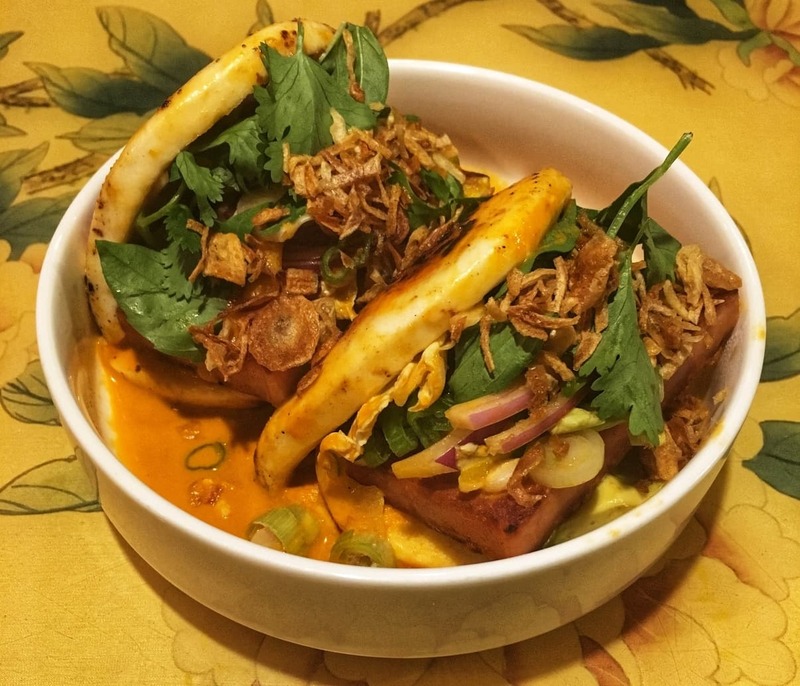 These are Thai red curry-inspired SPAM®️ buns, but served “ahogada” style, with the spicy sauce drowning the sandwiches to add even more flavor. The steamed buns are also made with Kewpie to add a little more richness to the dish. The name here is pretty self-explanatory, as this is a waffle made almost entirely out of SPAM®️. There’s also shredded potato, kimchi, and furikake inside, and it’s topped with green onions and a spicy mayo drizzle. 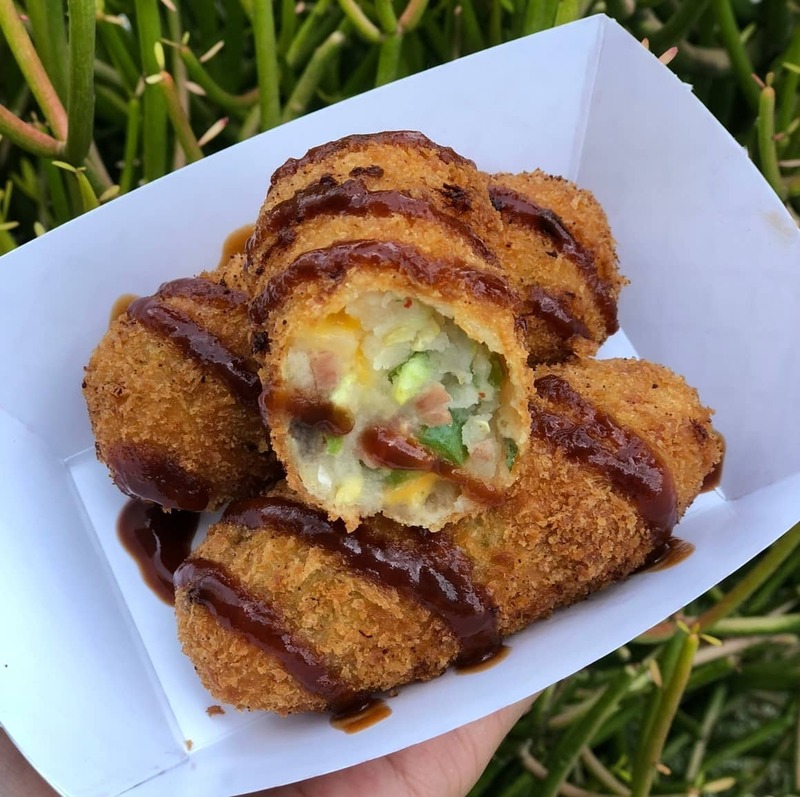 Available as regular or hot, these croquette-like bites consist of ground SPAM®️ and potato rolled in garlic panko breadcrumbs and deep fried. 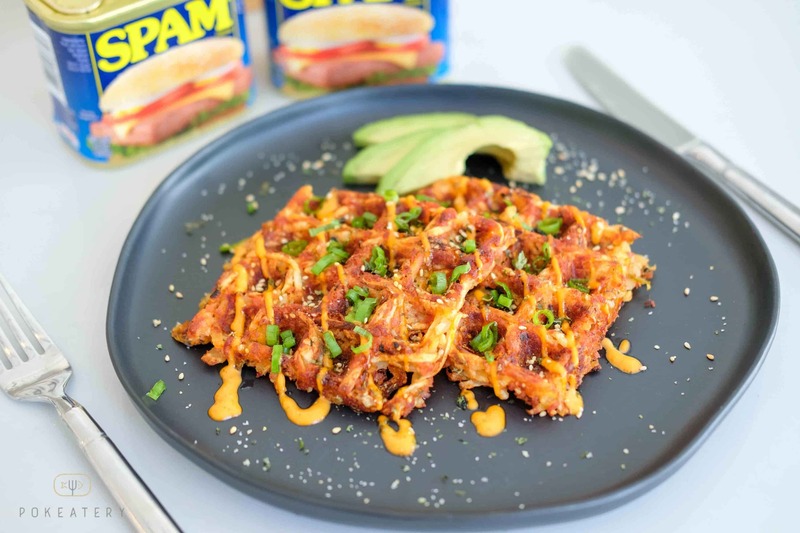 Yakimeshi is a Japanese fried rice, so this version of a SPAM®️ waffle incorporates both the meat and the traditional Japanese dish. 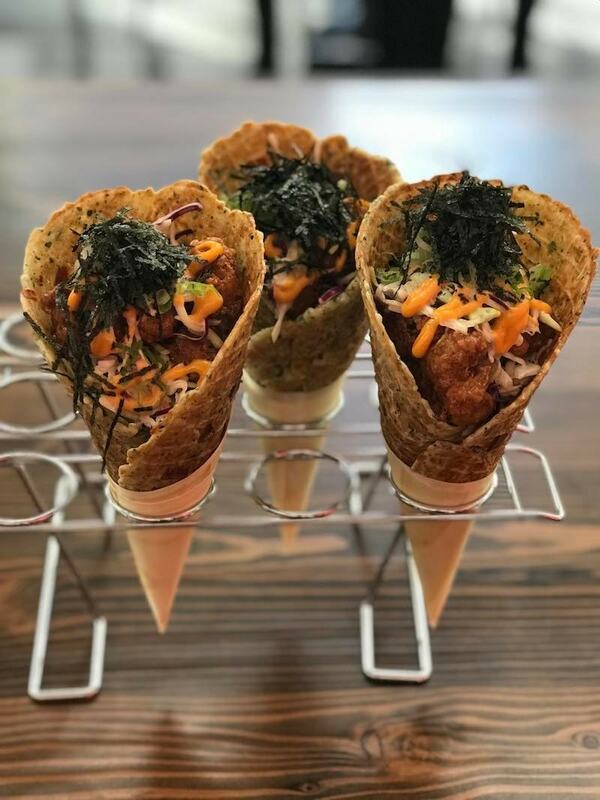 The waffle cone is filled with chicken karaage, yuzu citrus slaw, shishito pepper crema, and nori. 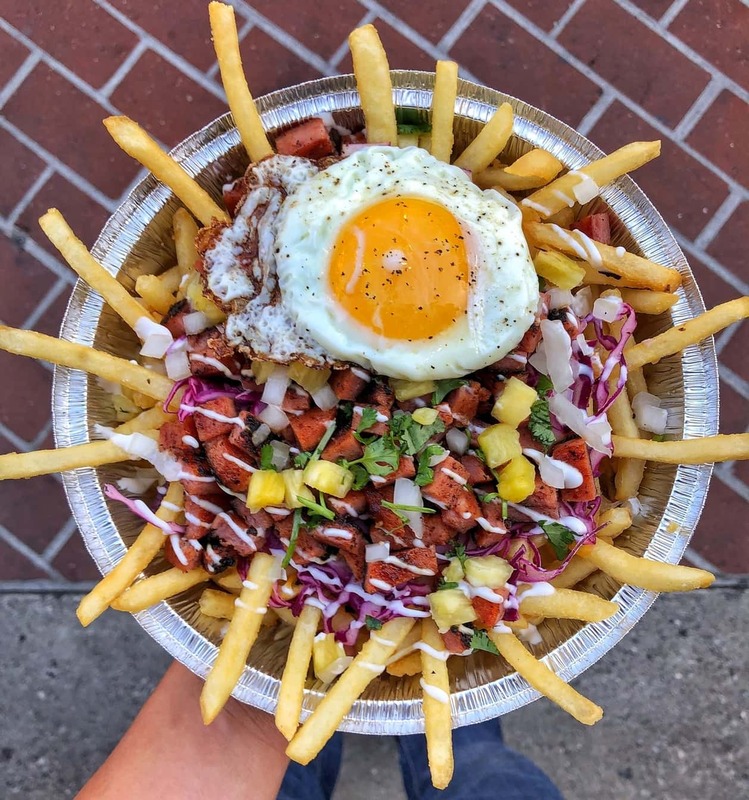 If you wanna feel a little bougie, head to 808 Poke Shack in San Francisco. 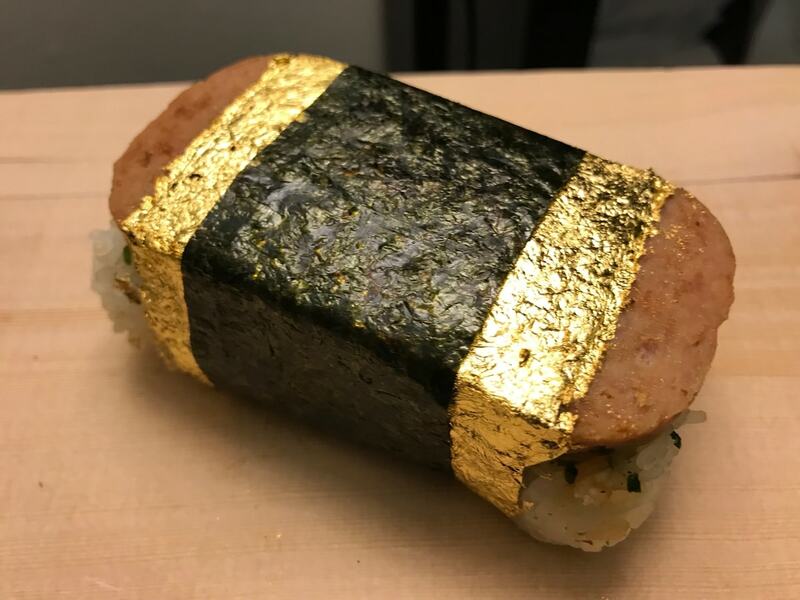 They’ve wrapped a classic SPAM®️ musubi in edible gold leaf for an upscale twist. 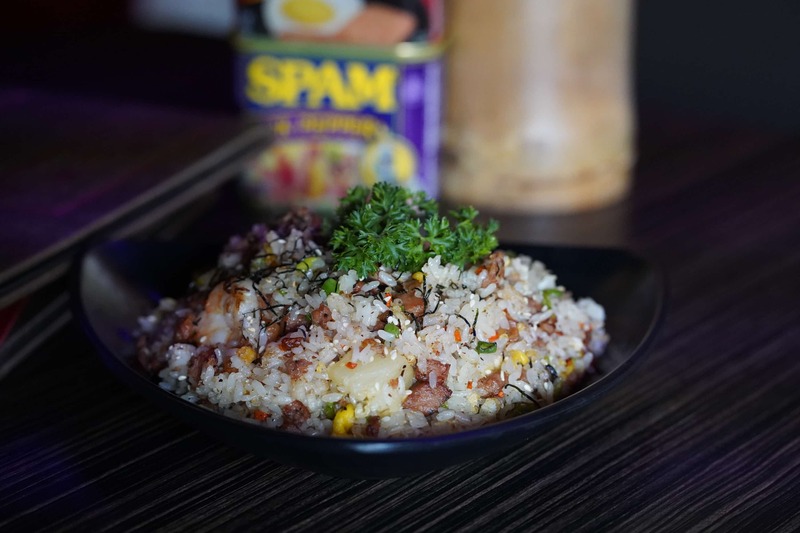 A simple but flavorful dish, shrimp, pineapple, and black pepper serve as the backdrop to SPAM®️ in this fried rice. Dragon Gate is also serving up a SPAM®️ omelet with oyster, topped with a sweet miso sauce. It would go pretty well with the fried rice, I would imagine. Not a typical “sandwich” by any means, the bread here is actually tostones, or fried smashed plantains. 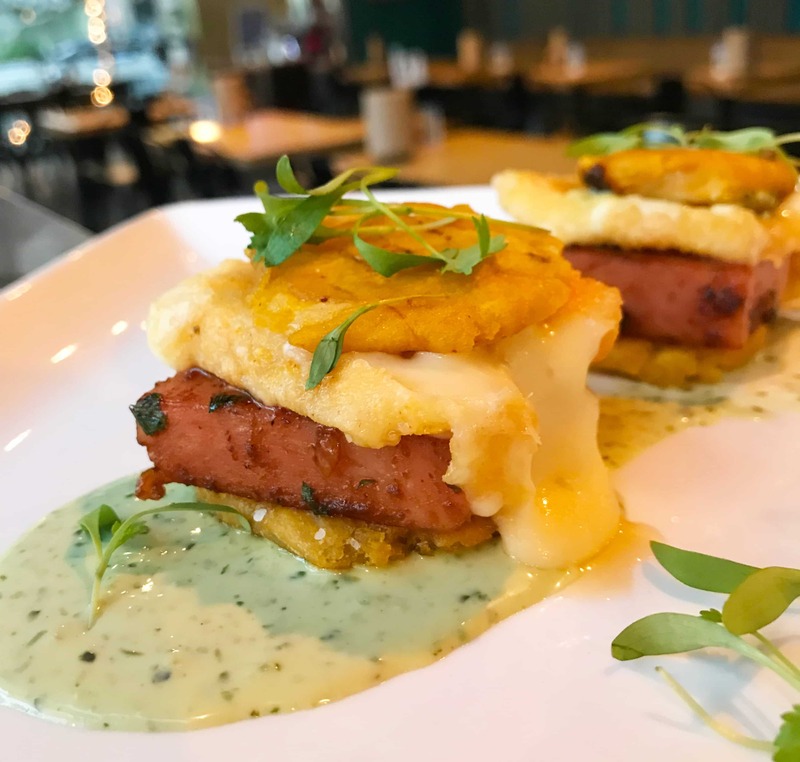 They hold together a thick slice of fried SPAM®️ and queso frito, and are served with a zesty sofrito sauce. 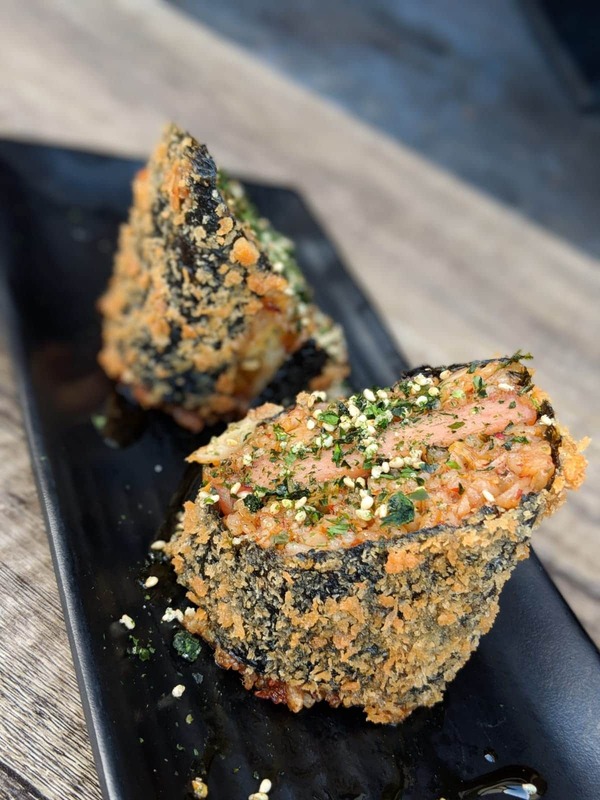 Pa’ina is adding a whole bunch of crunch to their SPAM®️ musubi. The inside also contains kimchi fried rice, teriyaki, nori, furikake, and uses a panko and tempura coating. 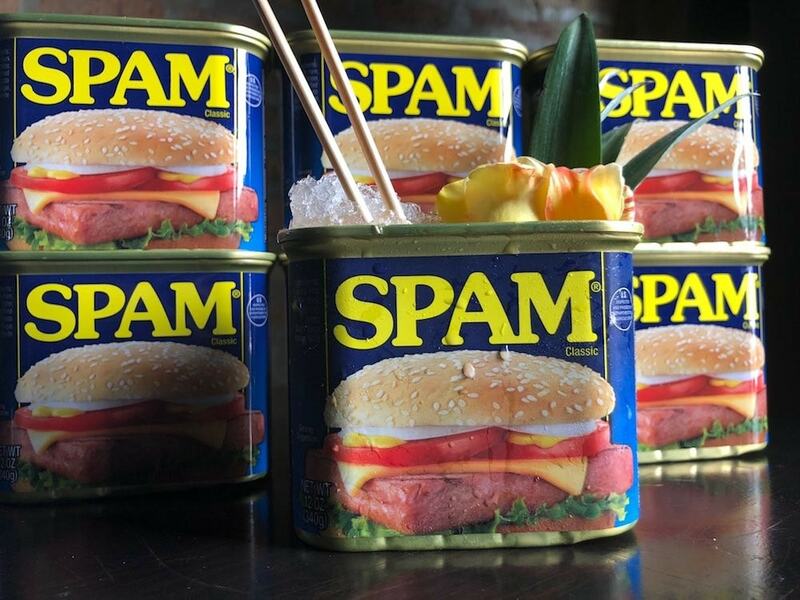 All of the above items will be available at their respective restaurants as part of SPAM®️ Restaurant Month. 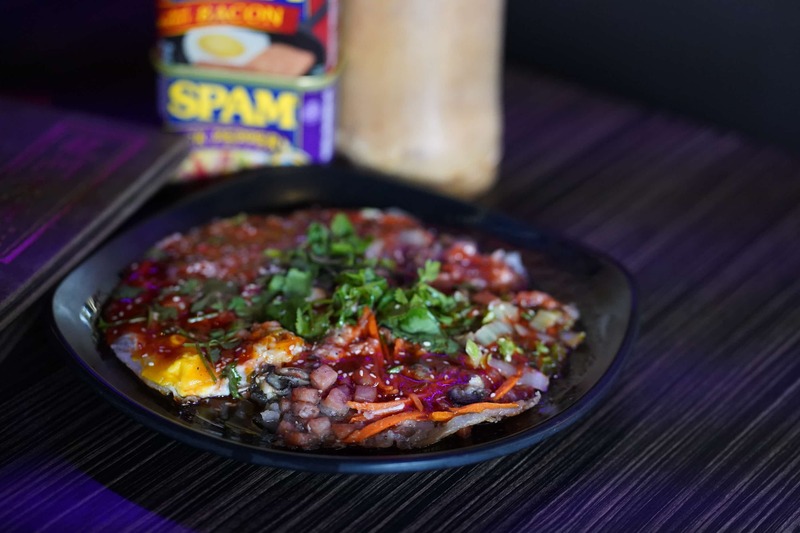 For a complete map that shows off all of the locations, plus more information, you can also take a look at the official SPAM®️ Restaurant Month website on Foodbeast. Created in partnership with SPAM®️.